Dr. Prosper Chaki is a senior Research Scientist working with Ifakara Health Institute. He received his doctoral degree (PhD) in Tropical Infectious Diseases at the Liverpool School of Tropical Medicine, UK. Dr. Chaki joined the institute in 2006 and since then has been working with community-based urban malaria vector control initiatives. 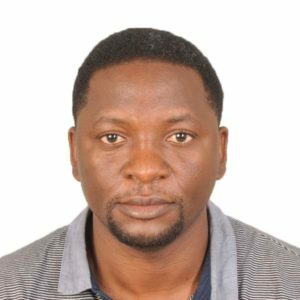 He spends most of his time designing, and evaluating, affordable community-based strategies for monitoring, and the evaluation of, programmatic malaria vector-control and surveillance in both urban and rural settings, across Africa. He has a broad background when it comes to working with the local communities, districts and programs. He has investigated the influence of specific environmental and interventional determinants to operational programs, with a keen interest in larval source management. In collaboration with fellow researchers Dr. Chaki has investigated the epidemiological impact of larval control through microbial larvicide application and effective community engagement strategies for sustainable vector control interventions. He has coordinated the malaria risk mapping initiative and through collaborations, established the largest quality assured entomological surveillance system covering 186 villages across mainland Tanzania to evaluate on-going interventions and promote evidence-driven delivery of vector control programs in Tanzania. In addition, Dr. Chaki has collaborated with other researchers to develop novel tools for controlling outdoor biting mosquito vectors that seem to be at the centre of the malaria transmission question. Currently he is leading a team exploring the best models for successful implementing IVM combined with the T3 (Test, Treat and Track) strategy for control in rural areas.